Hi, I’m Dr. Marita Smith. I was born in Russia and my family and I immigrated to the United States in 1992. I attended dental school at New York University, completing my DDS degree in 2011. After that, I did my General Practice Residency at Lincoln Medical and Mental Health Center, which is a Level 1 Trauma Center. I then went on to complete my Pediatric Dental training at St. Barnabas Hospital, which is also a Level 1 Trauma Center. Through my training at St. Barnabas Hospital, I had the privilege to treat patients at the Rose F. Kennedy Center for Children and Adults with Special Needs. My husband, Brad, and I live in Rockland County, with our two boys, Dylan and Jordan. 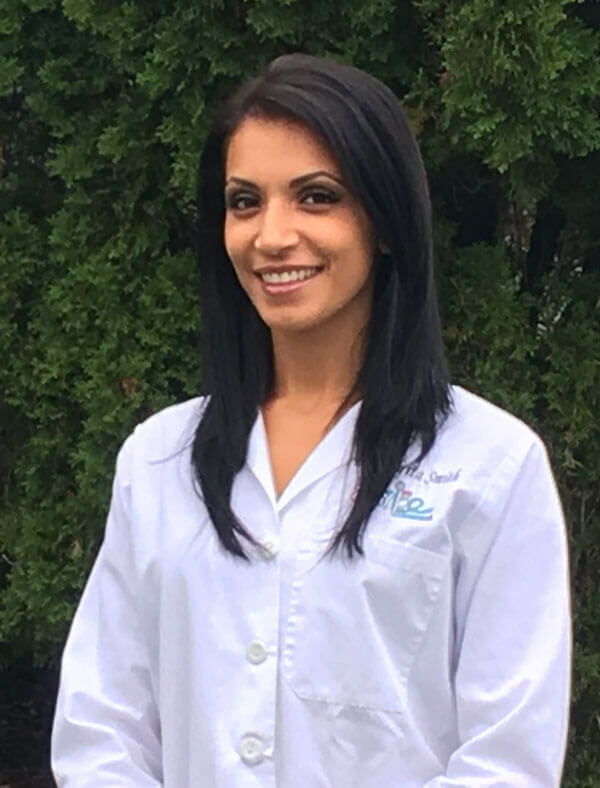 I am a Board Certified pediatric dentist and am dedicated to providing the highest quality dental care for children from infancy through adolescence in a warm and friendly environment. As a mother of two, I know how important it is for a child to be comfortable and stress-free during their dental visits. It is important to me that all children receive the best possible care in a way that is fun and pleasant. I place great focus on prevention and my goal is to keep your child’s smile healthy!